Cannon Falls Football Dock and Lift Install Info The letter from the Cannon Falls Booster Club is below. It is hoped that the Lake Byllesby Community and visitors to the lake will make every effort to promote and sustain our organization through active membership, and will continue to be steadfast stewards of this valuable natural resource. The strength of this organization is defined by its membershipʼs involvement. We welcome your support! You do not have to own any lakeshore or live on the lake in order to be a member. If you enjoy the lake, please feel free to join our organization in being a faithful steward of this great lake. The organization has been committed to the above, and other goals, since its' founding in 1967. 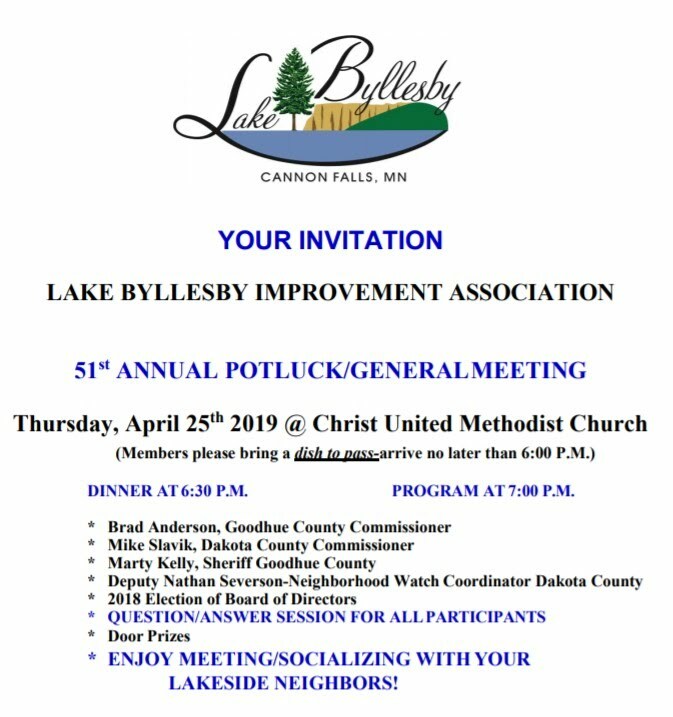 It is hoped that all residents of the Lake Byllesby community and visitors will make every effort to promote and sustain this organization, through active membership, and continue to be steadfast stewards of this valuable natural resource. The strength of any organization is defined by its membership involvement. The individual/collective efforts of all Lake Byllesby community members is encouraged and welcomed. Please continue to volunteer when asked, make suggestions to your officers as appropriate, and remember that EACH INDIVIDUAL is important as we continue to improve on the quality of our lake, and of our lives as Lake Byllesby residents and members of the L.B.I.A.